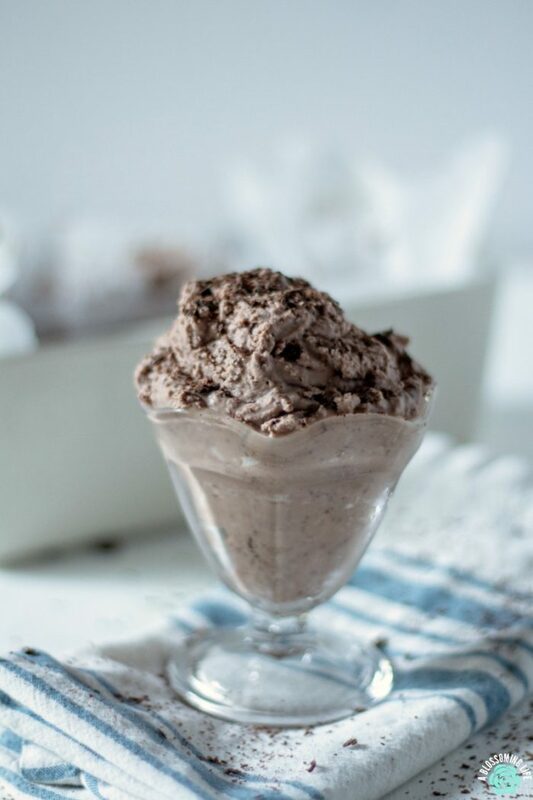 This decadent, double chocolate chip, dairy free ice cream is made with simple ingredients, no refined sugar, and you don’t even need an ice cream maker. Ice cream is my favorite food. There may have been one summer in college I lived off of birthday cake ice cream and Arby’s sandwiches with curly fries. If only I was kidding. And I was studying to be a dietitian. Thankfully I don’t eat like that anymore, and my body is grateful. My risk for early heart disease may be lower, as well. Winning. During that time, I also couldn’t figure out why I had such bad arthritis all the time. After years of taking joint vitamins and occasional pain relievers, I figured out that if I simply eliminated most dairy (butter and raw dairy is okay), I didn’t have pain. Who would’ve thought? My dairy sensitivity causes inflammation in my body, which then creates pain (and pimples on my face). For my husband, it caused his ulcerative colitis. Once dairy was removed, so were his symptoms. 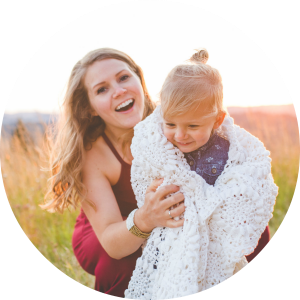 It all goes back to the gut, and leaky gut, so our family is working on healing that. 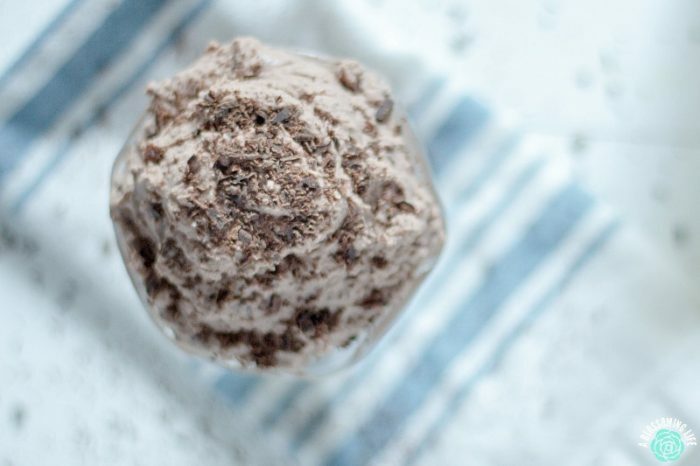 This dairy free ice cream won’t really help heal the gut (if only), but one can dream. It is, however, okay to have an occasional, special treat that is dairy and refined sugar free. 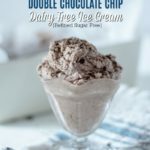 This recipe is so simple, only has four ingredients, and you don’t need an ice cream maker! BUTTTTT. Here is the thing. Since it is made with coconut milk, it will freeze really hard, sooo it’s a good idea to eat it after about 1.5-2 hours in the freezer or let it sit our 20-30 minutes before eating. Which is difficult…let me tell you. Or you could make it with an ice cream maker. 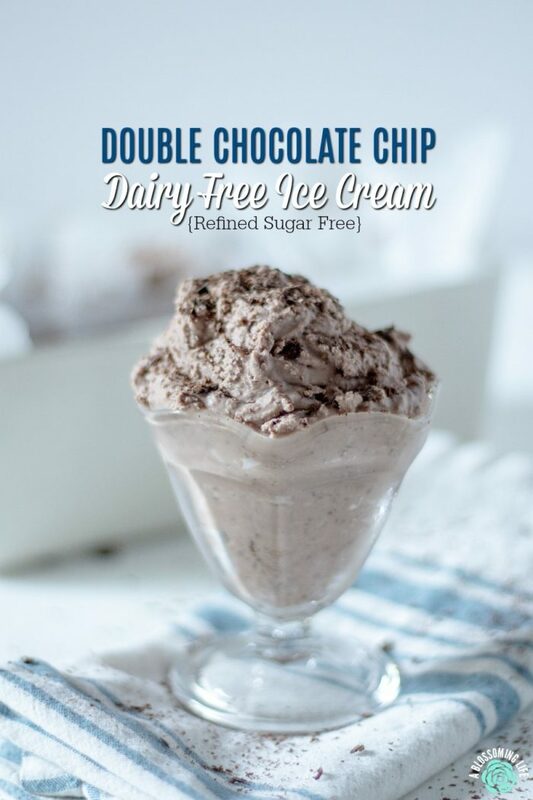 This decedent double chocolate chip dairy free ice cream is made with simple ingredients, no refined sugar, and you don't even need an ice cream maker. Place cans of coconut cream into the fridge for at least 4 hours or overnight. Place mixing bowl in freezer (optional). Once cans of coconut cream have been chilled, open them and skim out just the thick cream into the mixing bowl, leaving behind the watery coconut milk. 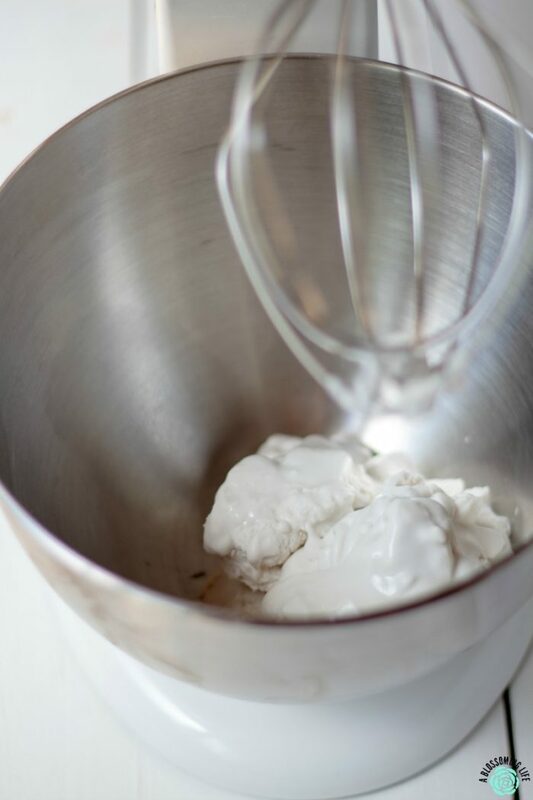 Using the whisk attatchment, whip coconut cream until it starts to become whipped cream and doubles in size. 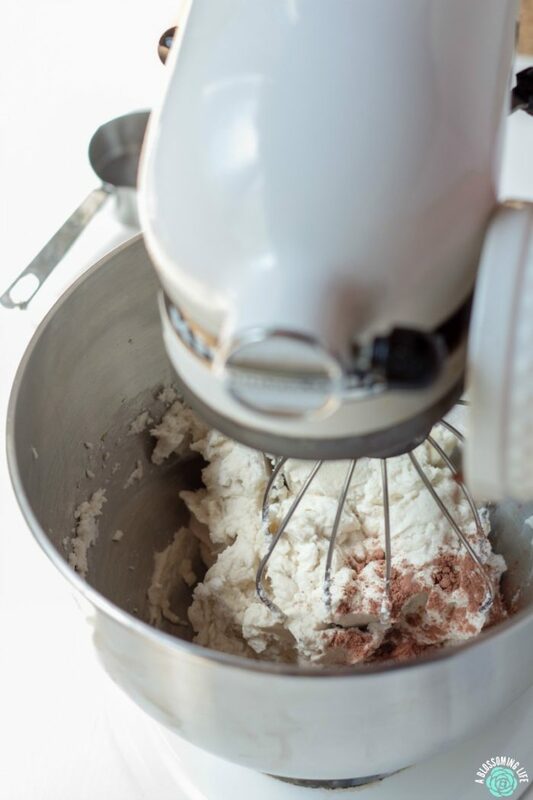 (SKIP this step if you are going to use an ice cream maker). 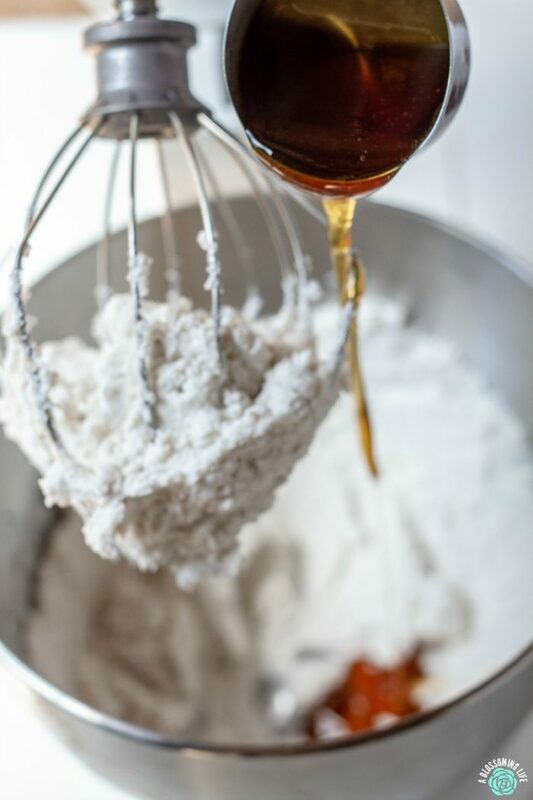 Slowly drizzle in honey or maple syrup. 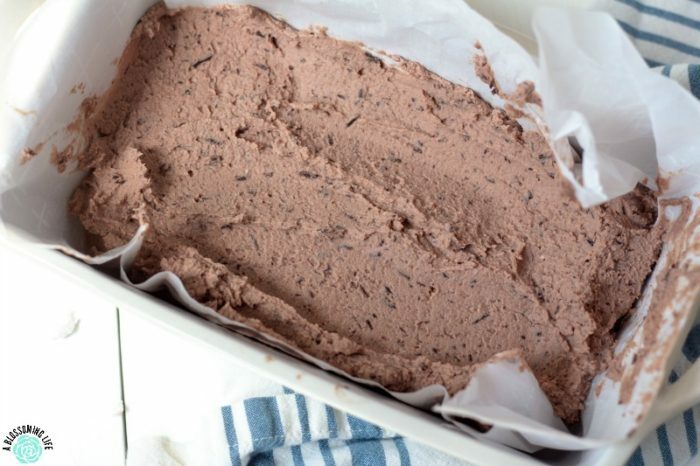 Scrap down sides, add cocoa powder, and mix again. 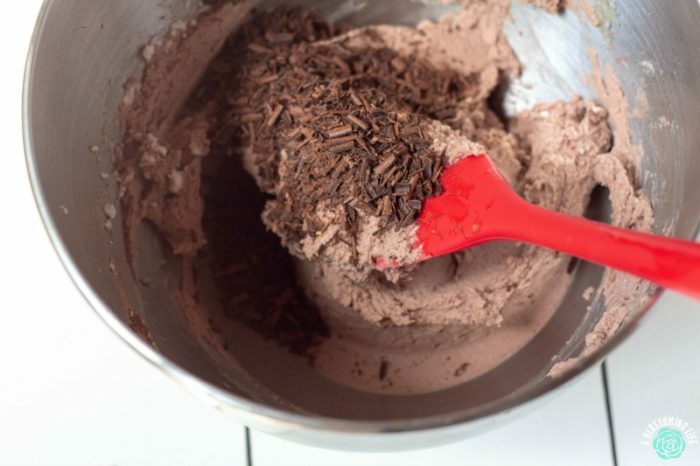 Shave chocolate (this can be done with a vegetable peeler) and add into the mixture. After its combined pour in into a parchement lined dish and place in the freezer for about 2 hours to eat it right away or allow it to rest for a 20-30 minutes before scooping and eating. You could probably do this with regular whipping cream also, but I haven’t tried it since, well, hello… dairy sensitivity over here. So, if you try it with the real stuff and it works, let me know.